"Since then it has evolved into a hilarious, crazy, over-the-top collectible card game that’s fun for everyone but packed with depth, secrets and strategy. We can’t wait for our fans to start playing." 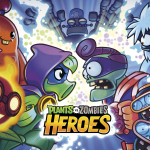 REDWOOD CITY, Calif.--(BUSINESS WIRE)--Today, Electronic Arts Inc. (NASDAQ: EA) and PopCap Games announced that Plants vs. Zombies™ Heroes, the next great PvZ adventure that takes you beyond the backyard, is now available worldwide. Watch the Plants vs. Zombies Heroes launch trailer and download the game free* from the App Store or Google Play now. Plants vs. Zombies Heroes is an all-new collectible card game from the makers of the beloved Plants vs. Zombies franchise that, for the first time on mobile, lets players choose their favorite super-powered plant or zombie hero and assemble a team to battle against friends and foes. Players can collect hundreds of new and familiar PvZ characters, build a winning team, and take to the arena in ranked or friendly multiplayer matches. A comic-style single player adventure also takes players on a journey through 80 adventures and 400 levels as they hone their skills, discover new characters, and confront mighty opponents along the way. PvZ Heroes introduces tons of new characters in addition to familiar faces, including Plants vs. Zombies Garden Warfare 2 favorites Super Brainz, Citron, Imp and Z-Mech, Rose and more. 20 heroes each offer their own super powers, signature styles and unique abilities that let players define a winning strategy and play their own way. Over 200 collectible character cards allow players to construct winning decks, test new strategies, and upgrade their decks as they collect and craft new characters. In addition to being able to play as plants or zombies for the first time on mobile, PvZ Heroes also lets players battle against other players in friendly or ranked competitive multiplayer matches. 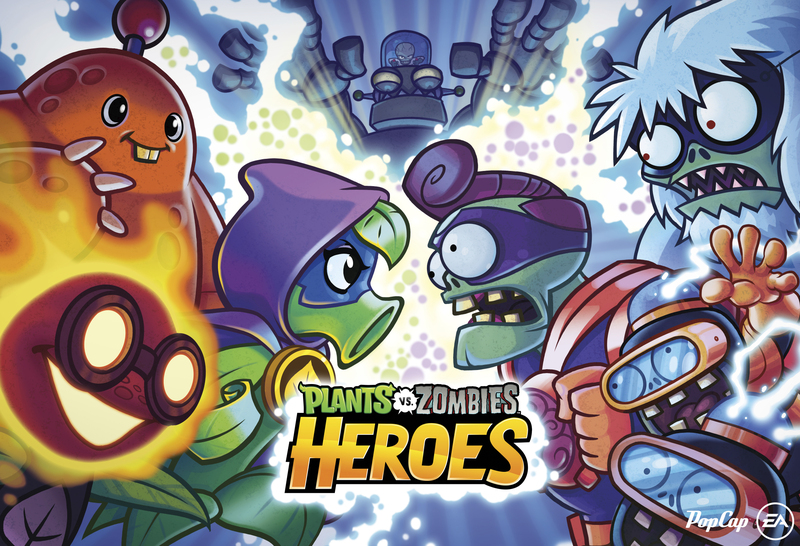 Outside of the arena, players can journey through the universe of PvZ Heroes in an epic single player adventure, complete quests and defeat challenging bosses to earn rewards and grow their collection. Cross-device play lets fans take their team with them everywhere and play on any device. Download Plants vs. Zombies Heroes for free* now on the App Store or Google Play. Follow Plants vs. Zombies Heroes at www.pvzheroes.com and on Facebook and Twitter. To celebrate the launch of Plants vs. Zombies Heroes, Plants vs. Zombies Garden Warfare 2 and Plants vs. Zombies 2 are kicking off the Lawn of Doom events, introducing Halloween-inspired content and customization. Plants vs. Zombies Garden Warfare 2 commences a daily, time-limited Halloween treasure chest hunt from now until October 31, as well as a unique boss hunt and 14 new spooky fun customization items. For full details on the Lawn of Doom in PvZ Garden Warfare 2, visit the blog. Plants vs. Zombies 2 introduces 12 new Halloween costumes and the return of fan-favorite Halloween plants Jack O’ Lantern and Ghost Pepper, plus the awesome new Witch Hazel. *Network fees may apply. In-app purchases available. EA, EA SPORTS, The Sims, Dragon Age, Plants vs. Zombies, and Battlefield are trademarks of Electronic Arts Inc. and its subsidiaries. John Madden, NFL, and FIFA are the property of their respective owners and used with permission.